Victoria, Texas is a regional hub in South Texas. 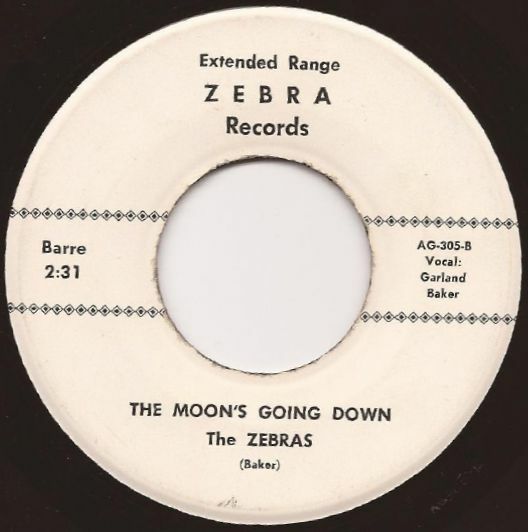 During the 60's it attracted a lot of bands from neighboring towns due to its mid point between Houston, Austin, San Antonio, and Corpus Christi. 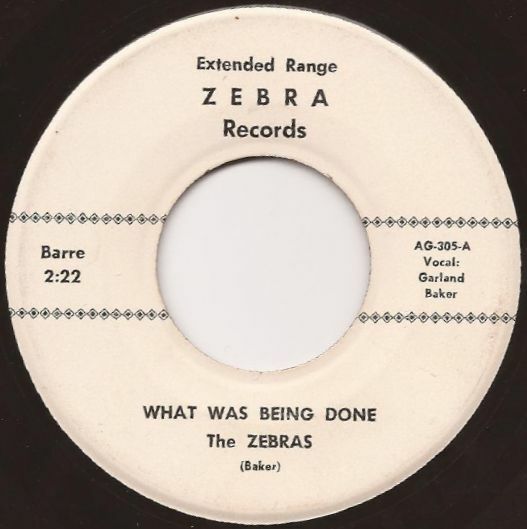 My initial inquiries into the town's musical history began with a search for information on a mysterious local studio and record label called Barre. 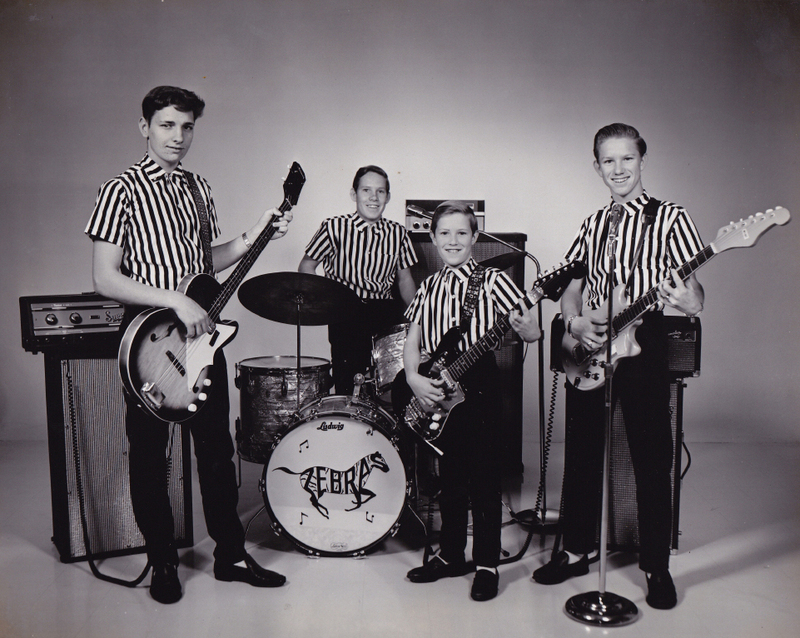 Upon fielding for details on this obscure operation, I heard from James Mikulenka, who recorded there with his teen band The Zebras. Below is a short interview with James about the history of his "proto-twee" jangle garage band. A vintage super 8 music video for one of the songs off the bands sole 45. This video features the band playing live at one of their regular haunts, the Tico Tico bar. Amazing! Q.When and how did The Zebras form originally? There were three brothers who had a little combo and played out a bit in Victoria. There was an entertainment event during the summer on the DeLeon Plaza (town square) in downtown Victoria on each Friday night in August. They played the first one and asked me to join and play bass. I recall the first song I learned with them was the theme from Batman which was a popular TV show and then we moved on to the real stuff like Wild Thing by the Troggs. I believe it was 1966. Q.What are some Towns and Venues of the bands regular gig route? What is the furthest out venue or event the band played? We played the local "sock hops" at a JAYCEE hall, Tico Tico a beach bar, and small town youth centers, and some high school events. Wanted to play more but country music was king down there, so we also went under another name The Texas Mavericks and played a lot of standard country and western songs at all the local honky tonks and bars in Victoria, Port Lavaca, and along the mid coast between Corpus Christi and Victoria. Same personnel only different music. Q.What do you remember about recording the bands 45? Did it sell well locally or get any distribution? Any airplay? We had a local DJ KVIC radio in Victoria who liked us and hooked us up with a local recording studio (Barre) owned by Gene Huckleberry. We were offered a chance to record a record so of course we did. Very quickly arranged and only overdubbed some extra guitar. No strobe tuners and it showed!! We pressed about 300 and of course it was the pick hit of the week by the local station and as far as I know was only played on that one station. It only sold in record shops in the area and needless to say we did not need to go back to press more. Boy do I wish I had a copy now though! Q.Did the band make any TV appearances? We appeared on Teen Time a local TV show on Saturday mornings in Corpus Christi. We showed up and they asked us to lip sync but we had no record with us so we performed live. Q.Was there any local competition for the group? Other notable local bands? Biggest name competition were the Jademen and The Other Side from Victoria. some of the players from the Teen Time era gained notoriety as the Zackary Thaks, Liberty Bell, and Bubble Puppy. Q.When and how did the band eventually break up? As the three brothers and myself matured musically we added an additional guitar player, typical friction over competency and direction led to a split with me and the non brother guitar player leaving and forming another band, we ended up playing together for probably 10 years longer. Q. Any interesting or funny stories on the group? Not funny, but getting the opportunity to play with the Zebras totally changed the direction of my life. It was the most important influence on me that I can remember. Led to me getting a totally new set of friends, going to college, leaving Victoria, and still playing today some 45 years later. Pretty significant in my eyes! Thanks to James Mikulenka and Robert Wuest for their help! Wow, and as of May 2017, thanks to Scott Baker for the fantastic band photo and show poster! The video is super cool, priceless. A completely unknown 45 from Texas. This one eluded everybody! I think there's a 45 on Barre by the Five Jades. Two slow sides. Garland Baker is my Dad! I'm so proud of him and everything he did with his band. He is an extremely talented musician and my favorite memories of my childhood are of him playing his guitar and singing to us!